According to here and " iainblack" strat book. The St-70-120 from the early 80's has E stamp pickups. The st 50-60 had E, U V or Vi picks and the ST80-120 has DiMarzio VS1. I have never seen anything other than E pickups in st-80 and above. I had some other sources the other day but cannot remember were they were. I think one said the E is the DiMarzio VS1. Then one said the DiMarzio VS1 and the E series are totally different. Question is are they different? How do you know if you have DiMarzio VS1? 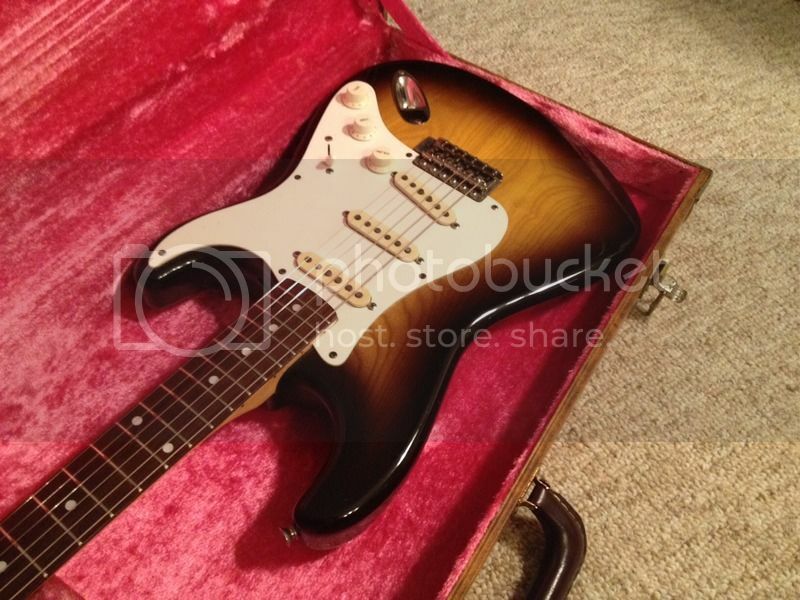 I have a strat (st-100) coming in a few days. I hear the E series sound good and I also hear they sound bad. I was thinking about swamping them for Fralin hot PUs. I have sort of been wanting to try these pickups out for a while now. Just was waiting for the right strat to try them in. How do you know if you have DiMarzio VS1? 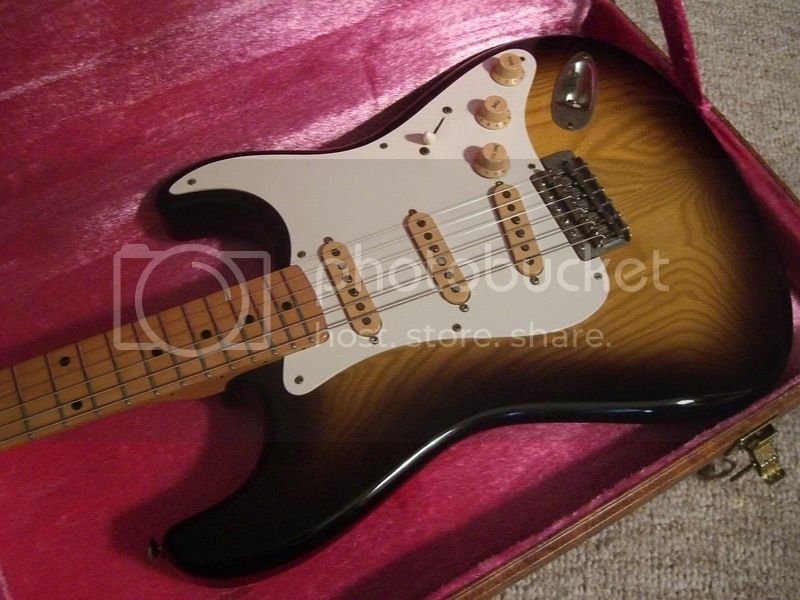 I have a strat (st-100) coming in a few days. I hear the E series sound good and I also hear they sound bad. I was thinking about swamping them for Fralin hot PUs. Well, a vintage ST-100 is a great thing! Why not try how it sounds with the stock pickups before considering a swap? There were some Silver Star SS-80 models with Dimarzios. For an ST-80 it depends on what you mean by "early 80s". A 1980 or 1981 ST-80 Springy Sound has E pickups. But a 1984 ST-80 Goldstar Sound will have Dimarzios. (The VS-1s are listed in the 1984 catalogue as specs for the TST-80). As for VS-1s and Es being the same thing. They are not - it´s a wrong information that has been out there on the web for many years. 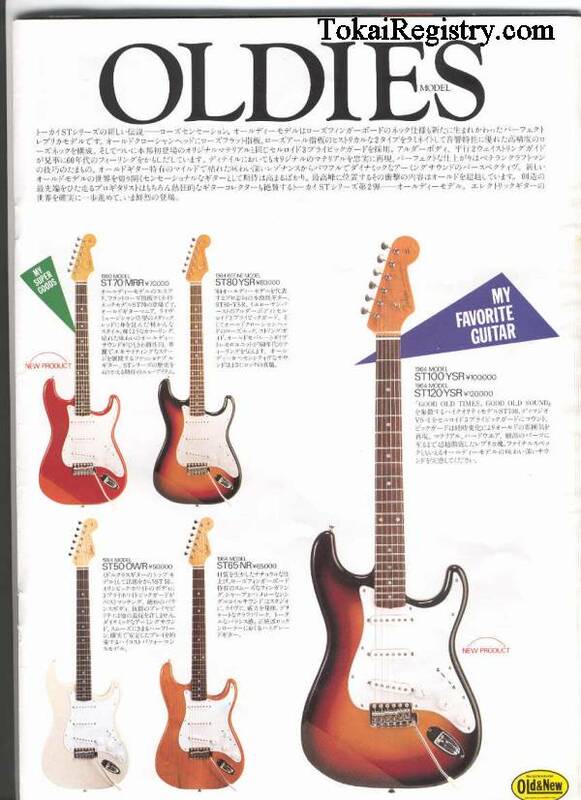 It´s quite impressive how this myth keeps popping up and confusing people who are not so familiar with the vintage Tokai stuff. I am going to check out the new pickups first. The past few Tokai's I have got I just kept the stock PUs cause I liked them. 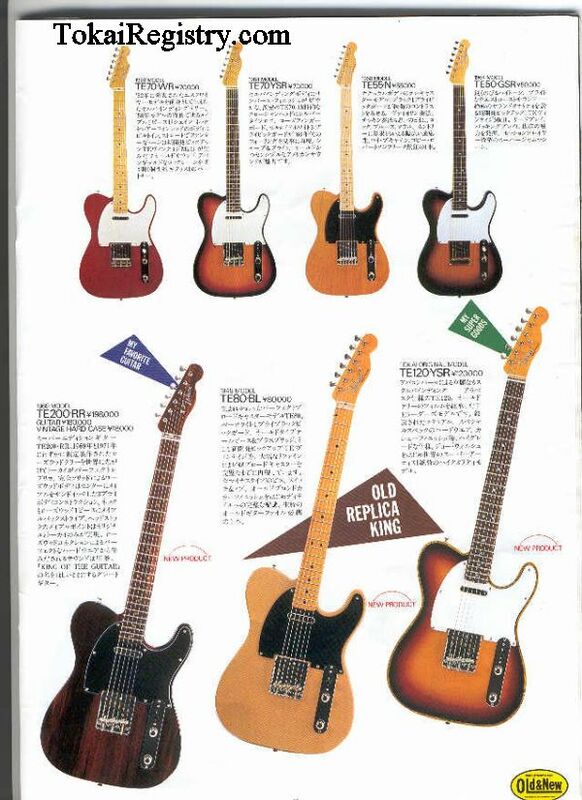 These were all brand new Tokai's that were Fender type ones. I am not saying they are bad or it was a bad decisions to keep them in there. If I try the Fralin's and they sound better I will keep them in if not I will pull them out. If I pull them out I am sure I will install them in another guitar either now or eventually. So, they will still be put to use. I have a set of Flalin PAF's in one of my Vintage Love Rocks and love them. That is some good info you posted about how to tell the difference from the E and Dimarzios. It is a 1980 St-100 so I guess E stamp I will double check when I pull the guitar apart. I bought the guitar for the wood not the electronics. When I buy old Tokais I always plan on replacing all the pots and PUs. At least this is what I did with all my Vintage Love Rocks. This is my first vintage Fender type Tokai. Before I bought this guitar I checked into the wood of the different ST series a lot. I went with the St-100 as it was a single piece body. I did not research the electronics at all as I was just planning on replacing them anyway. PS mine is a Springy sound I messed up and wrote Silver Star as the title of this post on accident. Just edited the title. For 'vintage' sounding Strat pickups, there's a lot of (over)hype around original '1982 Fender Fullerton Red Bobbins', I have put those next to some 1978 Tokai 'E's. You tell me, if any, which you like most! 2 is clearly louder than 1 is. So, you have to notice that and take it into consideration. I think I like 1 better. 2 seems like it maybe harsher sounding. Not that it is harsh sounding on its own but only in comparison to 1. I purchased the set of Fralins. I will have to listen to the E set. Then install the Fralins and listen to them. I think that is the only way I will get a real answer. If I decide to use the E pickups I will use the Fralins in something else later. I bought the guitar for the wood not the electronics. When I buy old Tokais I always plan on replacing all the pots and PUs. At least this is what I did with all my Vintage Love Rocks. This is my first vintage Fender type Tokai. Before I bought this guitar I checked into the wood of the different ST series a lot. I went with the St-100 as it was a single piece body. FWIW, I have a 1978 ST100 and a 1981 ST80R (both have one piece bodies, I know ST80 are specced as 2 piece, still some ST80s also have one piece), and to me my ST80R is the 'better' feeling and sounding guitar. Although the ST100 aesthetically is the 'nicest', whenever I pick up a Strat type (my Breezy TE80R , also a one piece body, is my favorite, and gets most played), it's the ST80R. What does the R mean? I have heard of those before but do not know what it does or means. What does the R mean? I have heard of those before but do not know it does or means. That makes sense. I though that was still called st80 just with a rosewood fretboard. I though that was still called st80 just with a rosewood fretboard. In the catalogues Rosewood fretboard designation comes behind the color code. Fortunate enough to have a pair of ST80's - one with rosewood, one with maple. Very nice pair, Marcus . Out of curiosity, which one do you personally prefer and why? That's a tough one. It's like trying to decide which of your two kids you prefer more. They feel pretty much identical to one another and the E p'ups in each are nicely balanced - great on the low end and lots of spank on the high end without being shrill or thin. The maple board is brighter - more chimey. Think of Jimmie Vaughan or Anson Funderburgh. The rosewood board is less bright and the bottom end really comes through nicely - the neck pickup sounds great without being boomy. The in between positions 2 and 4 really come through great - real quacky. Maybe a bit more so than the maple board to my ears anyway. Usually if I bring one or the other to a gig, I'll pack the other as a spare in case I pop a string. But I like to swap them out on sets so that I can really hear the tonal difference at show volume level. Well right now the St-100 has a E in the bridge and the middle. Then it has a Dimarzio in the neck. The neck is about twice as loud of the bridge or middle. So, using the 3 way switch right now is strange. If I do keep the E PUs I would have to find another one on Ebay or so and install it in the neck or just go all 3 different pickups.